Try a bath seat & mat for free! 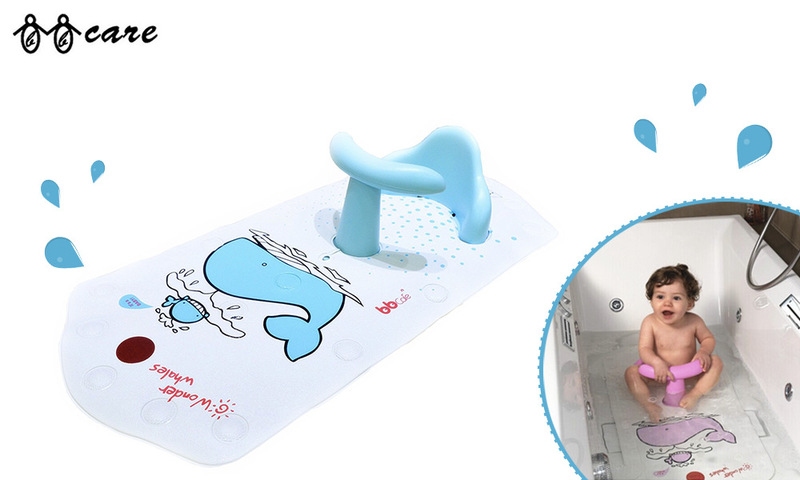 Try for free a Non-Slip Safety Bath Seat & Mat from BBcare! It's time to have fun in the bath! A "hot spot" feature on the mat gives a quick indication of when the water is too hot. The T-bar and shaped back support helps your baby sit up safely without slipping. There are 4 big suction cups under the bath seat, which allow it to be firmly attached to the floor. Openings on both sides, it is easily for the child to enter. Suitable Age: 6 months to 3 years. 3 Bath Seat & Mat from BBcare to try!